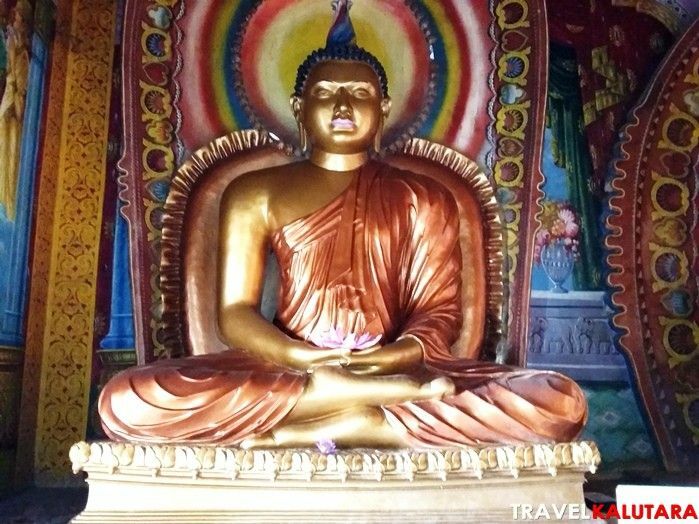 Rankoth Viharaya (රන්කොත් විහාරය) also known as the ‘Galkanda Viharaya’ is one of the most remarkable Buddhist attractions in Panadura. 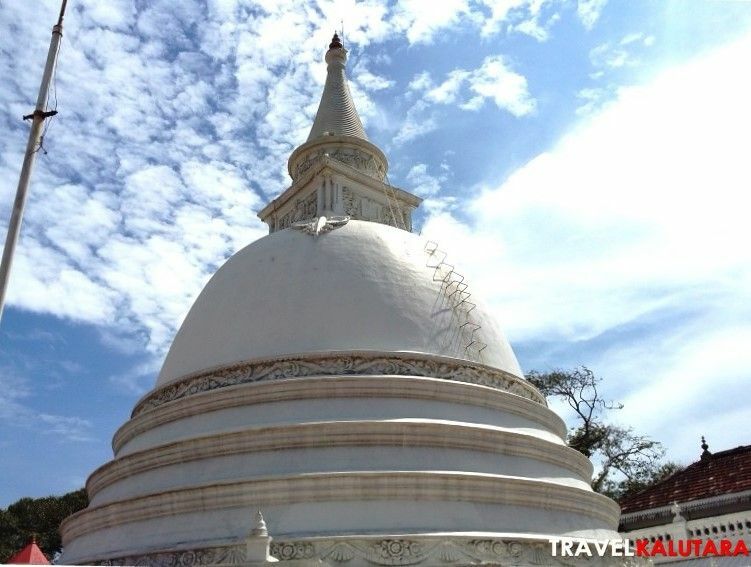 There are many interesting facts which qualify Rankoth Viharaya as a must see place in Kalutara district. Rankoth Viharaya is composed of a unique architectural design that contributes towards the significance of the temple. It is built on top of a natural rock which is visible at a glance from a distance. So now we know why it’s also referred to as the Galkanda Viharaya (ගල්කන්ද විහාරය) (‘Gal’ meaning Rock and ‘Kanda’ meaning Mountain). 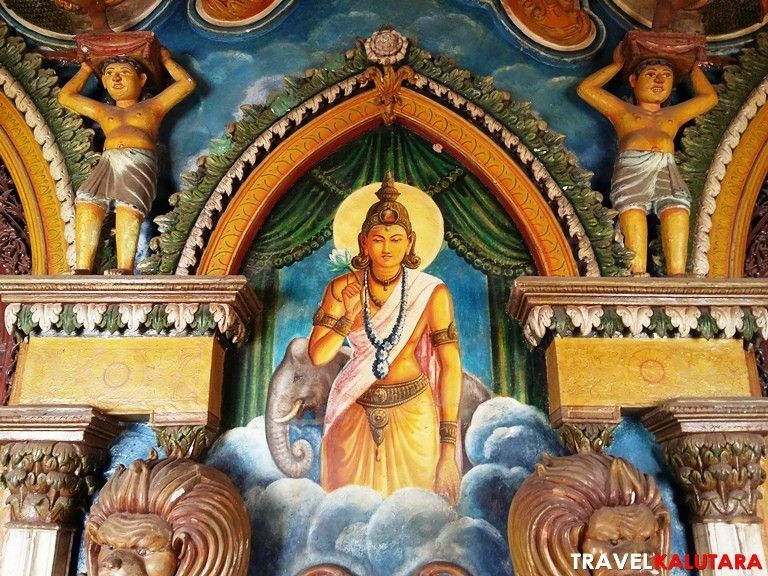 As mentioned above, the temple is also known as “Galkanda Viharaya”. It was the most commonly used name for the temple during the early days prior to the 1800’s. However, in 1890 the temple was renamed as the Rankoth Viharaya (Rankoth, meaning Golden Pinnacle) after the pinnacle of the pagoda was painted in gold. The Bo tree is an integral element of Buddhism and is widely worshipped and venerated across all Buddhists and Non-Buddhists worldwide. It is impossible to find a temple without a Bo-Tree as this is an important part of the Buddhist’s practice of worship. 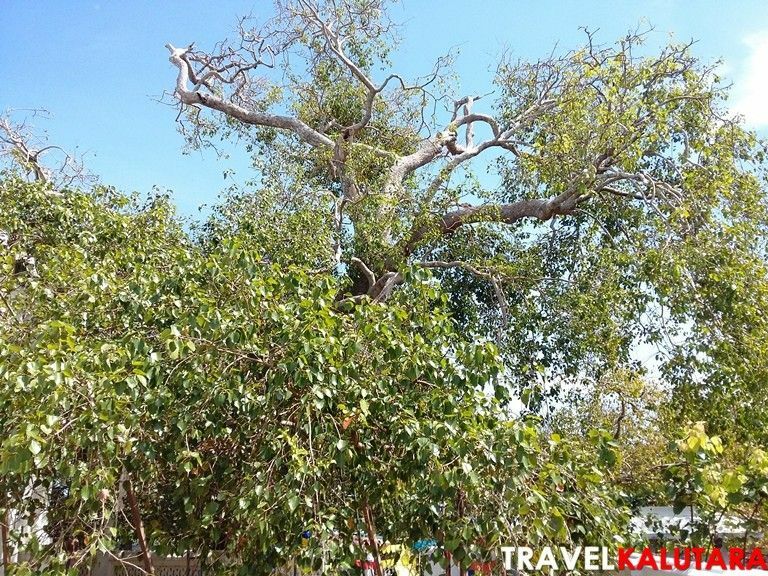 It is believed that the Bo Tree at Rankoth Viharaya is older than the temple itself! Many pilgrims visit the Rankoth Viharaya in order to conduct ‘Bodhi Puja’ and obtain blessings. 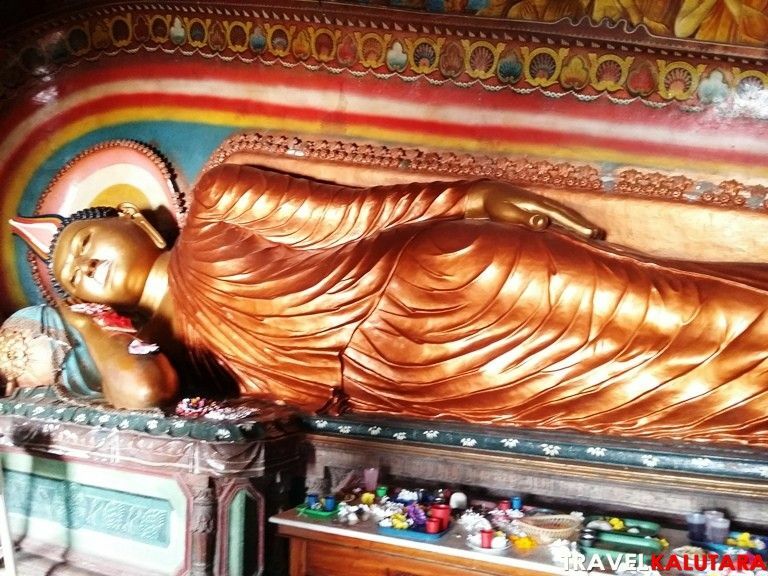 There are also dedicated shrines built for prominent deities to the side of the Bodhi trees. 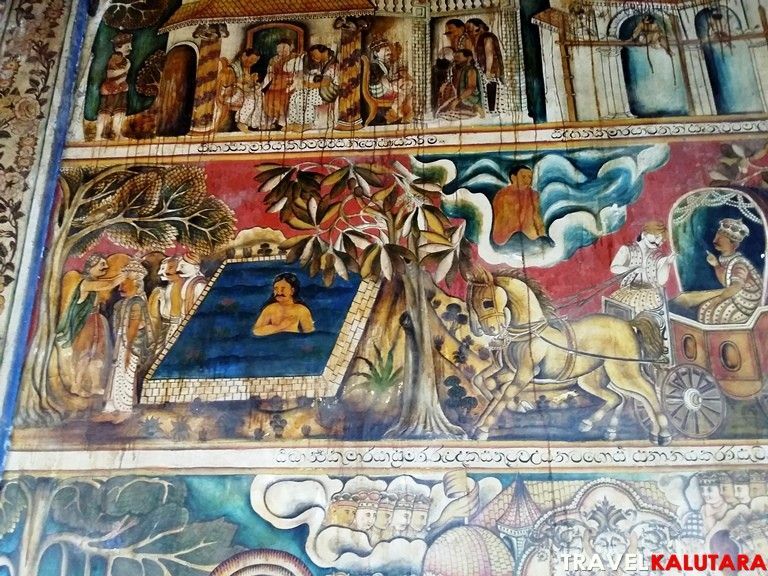 The image house of the Rankoth Viharaya is adorned with a large number of murals depicting the various important incidents of the Life of the Lord Buddha and the Jathaka Stories. Unfortunately, these arts are only captioned in Sinhala. 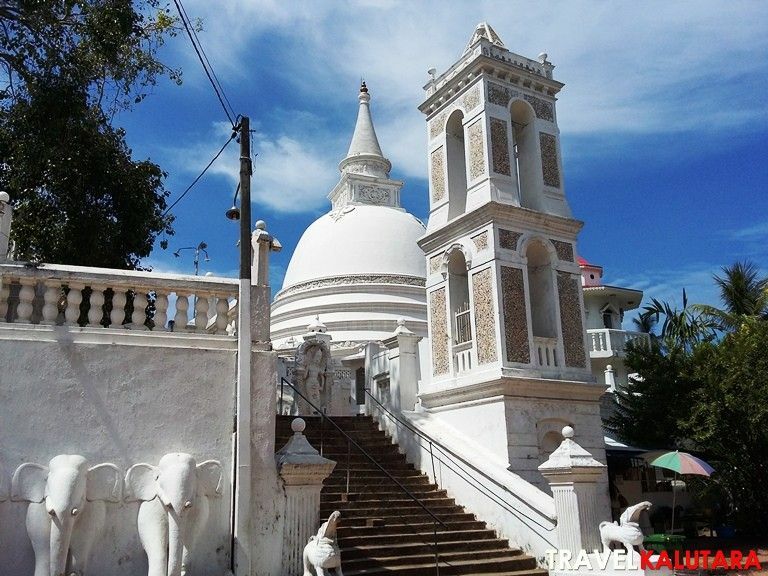 The temple also has a rich history dating back to the early English rule of Sri Lanka. 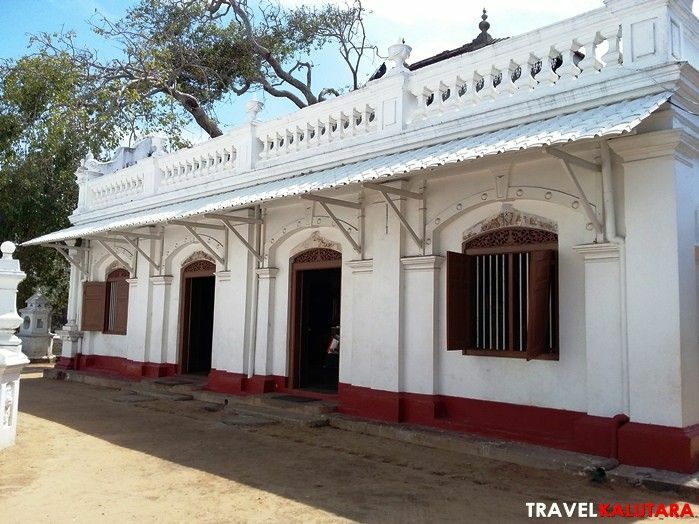 Rankoth Viharaya is closely related to the Great Panadura Controversy an The Panadura Debate site is located close by. 1810 – The temple was set up in a small hut in a quarry by Ven. Batapola Kalyanatissa Thero. It was called “Galwale Temple” (Temple in the quarry). Did you know? To expedite the construction of the temple the Buddhists around the area dug up sand from the beach passed those to the site by forming a line from the beach. Eminent English poet and scholar Sir Edwin Arnold had visited the temple in 1886 whence he discussed the idea to restore the Buddhagaya back to Buddhists. (source). 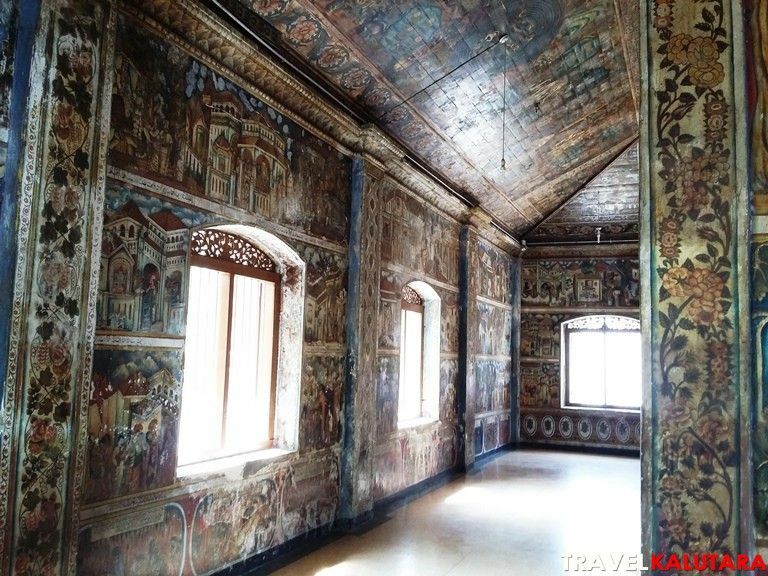 Rankoth Viharaya is sited along the main road when taking the Colombo-Galle route via Kalutara and is a significant place of visit. It is merely 26 mins away from the Kalutara district and can be located easily. If you’re traveling from Kalutara, turn left at the clock tower just past the pedestrian bridge over the road. The temple is visible to your left from the road.